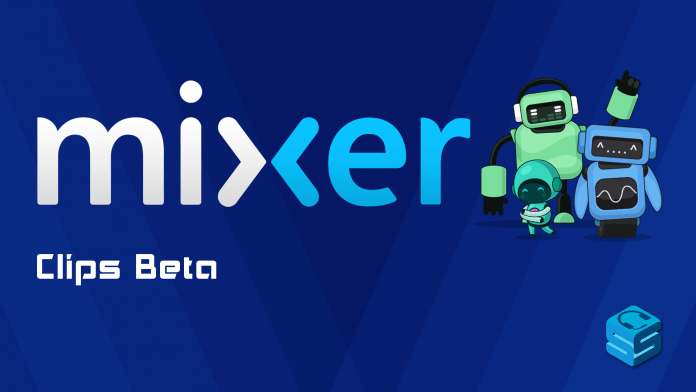 First we had Oddshot, then Twitch released Clips and now Mixer is starting to follow with their own Clips tool. Clips allows viewers to take a 30-second highlight from a stream and archive it for easy sharing. From there, you can watch it later as much as you want or share it on social media for others to enjoy! Clips are already a HUGE thing on Twitch, making for some amazing moments captured since it was introduced. They also add tremendous value to a content creators channel, creating potentially viral moments for all to view. If someone can’t catch a stream, they can always watch the “highlights” from it with the clips that were made. Mixer hopes to recreate this as well while adding their own style to the mix. For one, this release is Beta so only Mixer Partners and their Editors can make clips for their own channels. So a Partner can clip segments during their own stream or assign Editors to their channel so these individuals can help make clips. This is for multiple reasons, the major ones being to test and maintain the stability of the feature and to combat any chance of harassment that can come from giving full control of video creation. Clips are set at a total time of 30 seconds and all clips can be viewed in the Clips tab right below the video player on the stream. Chat is not included currently but you can rename them for a better-organized Clip gallery. Clips will expire the same time that the VOD expires. Hypezone is included in the clips system as well and follow the same rules above. These clips will be about a minute in length though to capture the action. People whom don’t want the clips to be used can go into the Clip tab and delete them manually. Or you can turn off “keep recordings of my stream” to guarantee that clips are never made for your channel. Future plans do include controls for Subs, Viewers, and having the ability to download clips for later use. These are features that Mixer wants to NAIL before they release it so expect these in a couple weeks.